What is there to do in Panama City Beach? What can’t you do?! We have a whole blog featuring the best attractions and restaurants in the area. You can check out our Local Guide. How’s the Panama City Beach dining and nightlife? Need some dining and nightlife options while you’re staying with us at the Beachside Resort Panama City Beach? Check out our suggestions. How close is the Beachside Resort Panama City Beach to the beach? We are zero feet away … the Beachside Resort Panama City Beach is located directly on the beach! The sand is our backyard! Where is the Beachside Resort Panama City Beach located? Directly on Panama City Beach’s sandy shore at 21905 Front Beach Road in Panama City Beach, FL 32413. How do I get to the Beachside Resort Panama City Beach from the ECP (North West Florida) airport? By taxi or shuttle, it’s about $39 per ride. 2-4 people – $44. 4 or more – $12 additional each. Here’s one of our favorite operators, Beach Boys Shuttle. 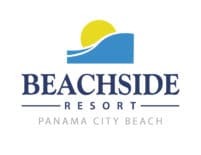 How old must I be to reserve a room at the Beachside Resort Panama City Beach? Does the Beachside Resort Panama City Beach provide parking? Yes, we do have complimentary parking for our guests! You’ll receive a parking pass upon check-in. Is the Beachside Resort Panama City Beach pet-friendly? As much as we love our four-legged friends, pets are not allowed on the beach, so we do not allow animals in our hotel, with the exception of service animals. Does the Beachside Resort Panama City Beach offer free Wi-Fi? We do offer free Wi-Fi! If you need help hooking up, feel free to ask one of our staff members … we’d love to connect you. Also, while you’re online, check out our “Beach. Love. Happiness” photo contest and share your beach memories with us for a chance to win! Is the Beachside Resort Panama City Beach property wheelchair/scooter friendly? We have made adjustments and additions, so the outside of our property falls within the mandates of the Americans with Disabilities Act. We currently have 7 ADA rooms and wheelchair access from the property to the beach. Does the Beachside Resort Panama City Beach offer breakfast? We do not serve breakfast at our hotel, but Sunnyside Grill is a wonderful family-style, home-cooked breakfast spot located just in front of the hotel. You can also check out our Local Guide for a few other great places to dine for breakfast on the beach. What time can I check into the Beachside Resort Panama City Beach? You will be able to check in to your vacation at 4:00 p.m. Can’t wait to see you! We never like to see our guests leave the beach, but check-out will be at 11:00 a.m. the morning of your departure. Are there kitchens in the rooms at the Beachside Resort Panama City Beach? There are a few room types that have kitchens. One has a king bed, and the other has two rooms with two queen beds. Here are the links to both room types. For more information about our rooms, you can give us a call at 850-234-5722. Does the Beachside Resort Panama City Beach have a pool? Yes, our pool is located outside with the perfect view of the Gulf of Mexico. Hope to welcome you to our little slice of paradise soon! You can rent beach chairs from FUNPCB. It’s about approximately $35 per day for two beach chairs and an umbrella, or $5 per hour. Chairs are available seasonally from March to September. Check out our Local Guide for more information about FUNPCB or give them a call at (850)-235-8051 for reservations. Is the Beachside Resort Panama City Beach non-smoking? Does the Beachside Resort Panama City Beach offer Military discounts? In gratitude to the men and women who bravely serve our country, we offer a 10% discount to all military and first responder personnel with an active ID, retired and veteran. When does The Reef Bar at Beachside Resort Panama City Beach open? We will be open 7 days a week during the summer, from 12 to 8 p.m. During the winter months, The Reef will be open from on Saturdays until March the following year. Please call ahead to verify our hours at 850-234-5722. Hope to ‘sea’ you on the beach with a drink in your hand soon! Do all rooms at the Beachside Resort Panama City Beach have a Gulf view? Not all of our rooms have Gulf front views, we have some rooms that facing the street side. You can learn more about our rooms when you book on our website, or feel free to give us a call at 850-234-5722. Hope to hear from you soon!